GENE-A55E adopts AMD G-Series T16R single core processor. The system memory is deployed with 204-pin SODIMM DDR3L 1066MHz up to 4 GB. In addition, Realtek® RTL8111E supports 10/100/1000Mb LAN that allows faster network connections. The display of GENE-A55E supports VGA/LCD, simultaneous and dual view displays. This model applies Mini Card slots and 1x optional mSATA for flexible expansions. USB2.0 x 4, COM ports x 4 (RS-232 x 2, RS-232/422/485 x 2) are configured on the GENE-A55E as well. Full functions make GENE-A55E a flexible and user friendly solution. 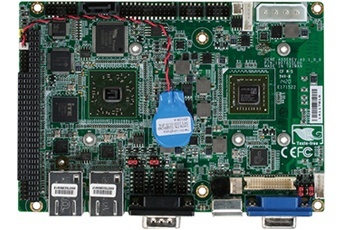 This brand new SubCompact board is developed to cater to the requirements of Automation, Medical, ticket machine, transportation, gaming, KIOSK, and POS/POI applications.